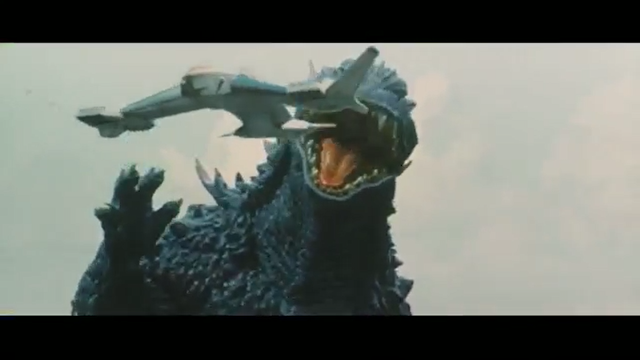 As you can tell there is a lot of stuff going on in this Godzilla film but is this a bad thing? Not at all as it's done really well with an easy to follow story that will keep you at the edge of your seats and a great cast of characters. This is also one of the longer Godzilla films running at around two hours and boy did this film just flyby with no boring crap whatsoever. I watched the English dub and I was pleasantly surprised with it as it didn't sound half bad and they tried their best to actually sync up the dub with the mouth movements for once although not everything matched up (that's to be expected though). Special effects are pretty neat with some good uses of green screen between the rubber suits and the actors although it has aged and you will notice that in some scenes. I liked how they kept 3D animation to a bare minimum with them only using the effect when they have to rather than using it because they can. The rubber suits and puppets look really good adding a nice vintage feeling and I'm very surprised they made Megaguirus a puppet instead of a 3D model and I give the director a round of applause for that as 3D in these Godzilla films haven't aged well. 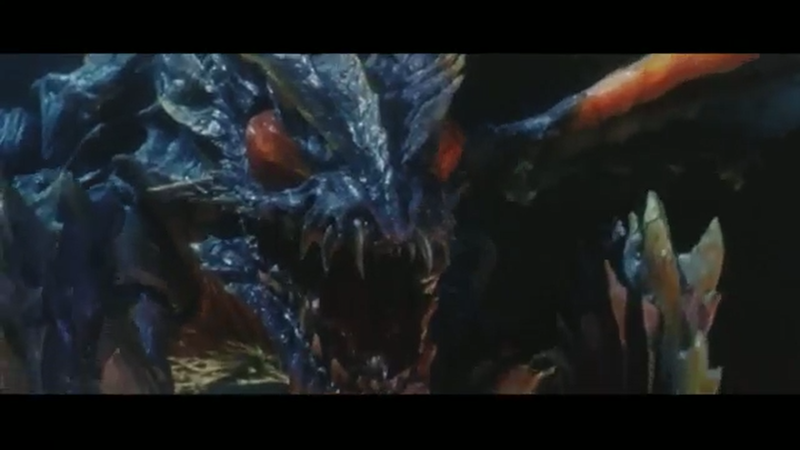 Out of all the things I have to complain about this film it is the battle between Godzilla and Megaguirus itself. 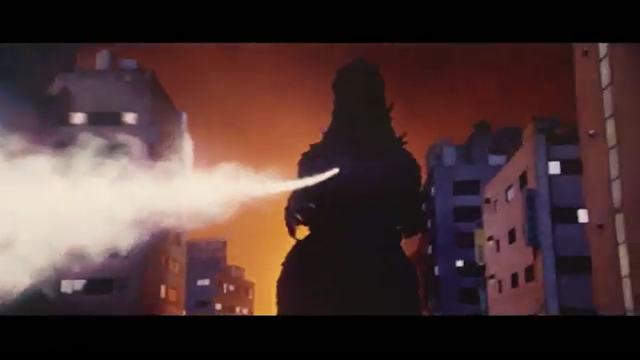 The battle wasn't terrible per-se but it was defiantly one of the weaker fights in the history of Godzilla battles as it was mainly a bite-fest that dragged on for just a little too long. Not to say it was all bad as it did have some good moments and the way those moments were shot are very well done. Another thing I have to complain about the film is the ending itself as it forces you to watch the credits before you get to see how it truly ends. 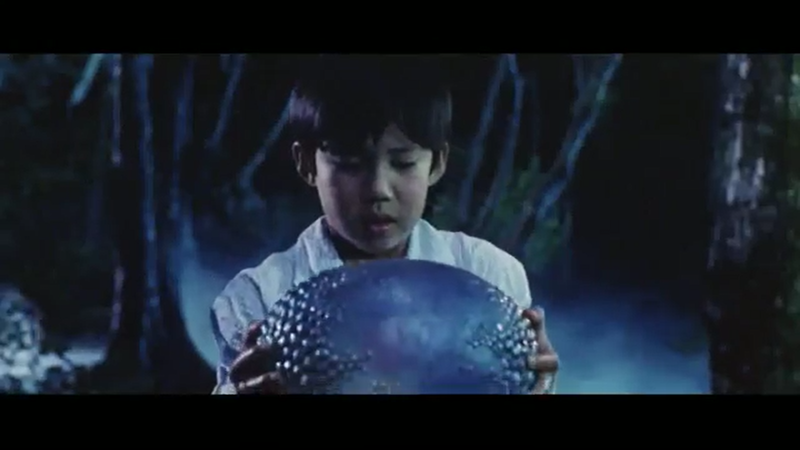 Only one item in the special features and that is the theatrical trailer that aired in Japanese cinemas. It's not a bad trailer and it was more than what I was expecting there to be as I wasn't expecting any special features at all. 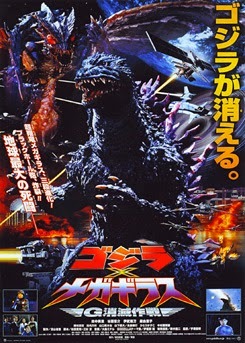 Overall this was a great Godzilla film and is one of those rare films in the series where the story was worth watching for the story rather than the battle. Recommended viewing. 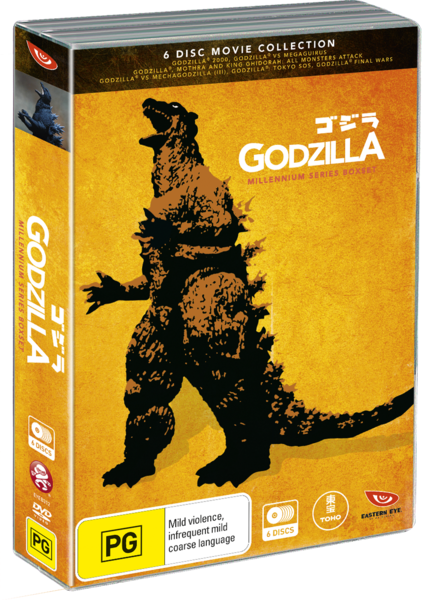 Day two of Godzilla week has gone and passed but don't worry as I'll be back tomorrow with another review from the Millennium Series. Next film is titled "Godzilla, Mothera and King Ghidora: Giant Monsters All-Out Attack!". Perfect movie title for a day nicknamed "Humpday". James Kaiser out.